This article is about the college located in New Ulm, Minnesota. For similarly named colleges, see Luther College. Martin Luther College (MLC) is a private liberal arts college in New Ulm, Minnesota, operated by the Wisconsin Evangelical Lutheran Synod. Martin Luther College was established in 1995, when Northwestern College (NWC) of Watertown, Wisconsin, combined with Dr. Martin Luther College (DMLC) of New Ulm on DMLC's campus. MLC offers several undergraduate and graduate degree programs, all of which train students for service in the Wisconsin Synod. Men who graduate from the college's pre-seminary program may enroll at Wisconsin Lutheran Seminary. Men and women who graduate from its education programs may be assigned by the Wisconsin Synod as teachers and staff ministers to synod churches, schools, and missions. In 2018, MLC enrolled 740 undergraduate students and 128 graduate students. Situated on a bluff above the Minnesota River, MLC's 88-acre (36 ha) campus is a neighbor to Hermann Heights Monument and is home to the 38,000-square-foot (3,500 m2) Chapel of the Christ. The college's Gothic Revival-inspired Old Main building was added to the National Register of Historic Places in 1979 for having state-level significance in the themes of architecture, education, and religion. Martin Luther College's 16 varsity sports teams compete in Division III of the NCAA and are known as the Knights. The college is a member of the Upper Midwest Athletic Conference. Martin Luther College was established in 1995 when Northwestern College (NWC), located in Watertown, Wisconsin, combined with Dr. Martin Luther College (DMLC) located in New Ulm, Minnesota, at the New Ulm campus. Northwestern College was established in 1865 to train pastors for the Wisconsin Synod. After the founding of the Wisconsin Synod in 1850, the church body had received its pastors from mission societies in Germany. However, as the Wisconsin Synod developed a more confessional stance, the desire to train its own pastors became apparent. The doctrine and theological character of the pastors from the German mission societies were beginning to conflict with the position of the Wisconsin Synod. Furthermore, it was becoming more challenging to provide the synod with a sufficient number of pastors. Training its own ministers would reinforce the synod's confessional position and foster unity within the church body. So, in 1863 the Wisconsin Synod passed a resolution to establish a college and seminary in Watertown, Wisconsin, for the training of its own pastors in America. Classes were first held in 1863 at the home of Dr. Edward Moldehnke, head and sole professor of the new school. On July 22, 1864, the college purchased 5.5 acres of land at the corner of present-day Western Avenue and College Avenue in Watertown. The property was bought from John Richards, builder and owner of the Octagon House, for $687.50. Northwestern College officially came into existence on September 14, 1865, when the first building on its new property was dedicated. The square-shaped building, topped by a small, square cupola, was affectionately called the Kaffeemuehle, or coffee grinder, by Northwestern's early, mostly German-speaking, students. The college, its preparatory department, and the seminary were all housed there. The college's first president, Adam Martin, sought to develop the college into a comprehensive university in the American style, writing that "the University offers opportunities for a thorough and complete course of collegiate education equal to any in the land." His sentiments are reflected in the original name he chose for the college, Wisconsin University. The name was soon changed to Northwestern University to avoid confusion with the University of Wisconsin. Eventually, the name Northwestern College was adopted in 1910. Financial hardship marked the earliest years of Northwestern due to a lack of interest from Wisconsin Synod congregations, yet in 1868 the college built a new dormitory and added 30 more acres to its property. Wisconsin Synod also solidified its confessional stance during this time and entered into fellowship with the Missouri Synod. The seminary then combined with the Missouri Synod seminary in St. Louis. The college began to provide pre-seminary training for both synods. When Adam Martin left his position as college president in 1869, the college became more focused as an institution for the preparation of students for the seminary. Professor August Ernst was installed as a professor in 1869 and became college president. He directed the college away from Adam Martin's American-styled institutional structure and restructured the school to match the German Gymnasium system. The college and preparatory departments included seven class levels, each designated by a Latin name. The Latin names are still in use at Luther Preparatory School. In 1872 Northwestern graduated its first class, which included Franz Pieper and Otto Hoyer, the second president of DMLC. The teaching department left in 1892 for New Ulm when the Wisconsin, Minnesota, and Michigan Synods federated, leaving the pre-seminary and commercial departments in Watertown. On the night of July 30, 1894, the Kaffeemuehle was struck by lightning and set ablaze. The Kaffeemuehle was lost, but the college built the Recitation Building in its place by 1895. In 1909 the Northwestern Club of Milwaukee, a group of alumni, decided to gift a gymnasium to their alma mater. At the gymnasium's dedication on October 20, 1912, the St. Matthew's congregation of Milwaukee presented a statue representing a "Sprinter on His Marks", commonly known as the Sprinter, and President William Taft sent a telegram of congratulations. In 1919 Northwestern added the eighth year to its program so that there were four years of high school and four years of college. Leonard Umnus became Northwestern's first permanent athletic director in 1935. During his tenure, Umnus coached football, basketball, baseball, and wrestling teams for the college. He significantly raised the profile of athletics at Northwestern, and his football team was undefeated from 1951-1954. Through a special offering collected at Wisconsin Synod congregations, many improvements were made to the campuses of Northwestern College and Dr. Martin Luther College, beginning in the 1950s. At NWC, projects included a new library, a heating plant, an addition to the 1911 gymnasium, a dining hall, a collegiate dormitory, and a classroom building with ten classrooms and offices. The 1895 Recitation Building was torn down when the cost of renovation became too expensive. Additionally, Mrs. Meta Kilgas Michelson of Manitowoc, Wisconsin, bequeathed the funds to build a campus chapel. The chapel was dedicated on August 21, 1956. Following the building projects, enrollment at Northwestern surged with a peak enrollment in 1968 of 298 students in the college department. Northwestern's 1911 gymnasium began struggling to accommodate the athletic schedules of the college and preparatory departments at this time, so a new gymnasium was dedicated on June 2, 1971. Furthermore, the rising enrollment called for the construction of more student housing. Two new dormitories, Wartburg and Wittenberg Halls, were dedicated in 1967 and 1975, respectively. By 1974, the preparatory department began to operate apart from the college as Northwestern Preparatory School, today Luther Preparatory School, but continued to share a campus with Northwestern College. In response to requests from the Wisconsin Synod and its preparatory schools and America's growing Hispanic population, in 1986 Northwestern added Spanish to its traditional foreign language courses of Greek, Hebrew, German, and Latin. After a thorough study of its worker training schools, the Wisconsin Synod voted at its convention in 1993 to merge its pastor and teacher training colleges on the campus of Dr. Martin Luther College in New Ulm, Minnesota. The vote was 195 to 176 in favor of the merger. In 1995, Northwestern College moved to New Ulm, Minnesota, and combined with Dr. Martin Luther College as Martin Luther College. Dr. Martin Luther College was established in 1884 to train pastors and teachers for the Minnesota Synod, one of the church bodies incorporated into the present-day Wisconsin Evangelical Lutheran Synod in 1917. The Minnesota Synod, founded in 1860, suffered from doctrinal disunity, lack of orthodox synodical fellowship, and a shortage of workers throughout its early years. The synod sought to resolve these issues by aligning itself with the confessional position of the Wisconsin and Missouri Synods and by establishing its own theological school in Minnesota. The Minnesota Synod received several bids from communities for the site of the new school, and the most favored options were located in New Ulm and Shakopee, Minnesota. New Ulm was ultimately chosen due to its superior site, the persuasion of Rev. C.J. Albrecht, and the extensive support from both Albrecht's congregation in New Ulm and the members of the New Ulm community. Rev. Albrecht's congregation, St. Paul's, offered four acres and $7000 to establish the new school. Rev. C.J. Albrecht would later become the first president of DMLC. The dedication of Dr. Martin Luther College's original building, now called Old Main, was held on November 9, 1884, with classes beginning the next day. In the early years of DMLC, preparatory, college, and seminary departments were all kept on the same campus. By the 1887-1888 school year, DMLC housed six departments: preparatory, college, academic, commercial, normal, and seminary. The direction of the school changed in 1892 when the Wisconsin, Minnesota, and Michigan synods federated. The synods resolved to exclusively train their pastors at Northwestern College and their teachers at DMLC, beginning in the 1893-1894 school year. As DMLC's theological department closed, Rev. C.J. Albrecht ended his formal involvement with the college but continued to be pastor at his church in New Ulm and president of the Minnesota Synod. After becoming a teacher training school, Dr. Martin Luther College entered into an agreement with St. Paul's Ev. Lutheran Church in New Ulm. DMLC students used classrooms at St. Paul's parochial elementary school to gain practical teaching experience, while DMLC faculty members supervised. Up to five classrooms at the elementary school were set aside for DMLC students to practice their teaching skills. This arrangement lasted until the student teaching program was expanded in 1964. DMLC began admitting women in 1896, and the first woman to graduate was Lillie Mohr in 1898. During the late 19th and early 20th centuries, there were some misgivings among Wisconsin and Missouri Synod leaders about employing women to teach in their schools. However, by 1938 coeducation was offered by the Missouri Synod's Concordia Teachers College, and by 1984 the graduating class of DMLC was 74% female. In 1908 Fritz Reuter became DMLC's chair of music and initiated a strong music tradition at the college by his death in 1924. While at DMLC he established singing classes and organized male and mixed choruses. Reuter also composed and arranged many hymns, several of which are used today in Christian Worship: A Lutheran Hymnal, commissioned by the Wisconsin Synod. Under the presidency of Adolph Ackerman, the college began to expand its facilities. After receiving land donations from the New Ulm Commercial Club and public works improvements from the city of New Ulm, the college constructed a chapel/auditorium (originally called the Aula, now the Music Hall), and a dormitory, Summit Hall. Both were dedicated in 1911. During World War I, the ethnically German city of New Ulm was home to a series of rallies led by speakers who spoke out against America's involvement in the war. Speakers included various local politicians, businessmen, and leaders, including DMLC's president Adolph Ackerman. The second of these rallies drew over 8000 people to the town. Amid the anti-German feelings of the time, and by recommendation of the Minnesota Commission of Public Safety, the mayor and city attorney of New Ulm were both removed from office by Governor J.A.A. Burnquist. The Commission also threatened to close the college. Soon after, the DMLC Board of Control asked Ackerman to resign. In 1920, the young Evangelical Lutheran Synod requested that their teachers be trained at DMLC. Prof. Oscar Levorson was installed to teach the new students in Norwegian. This arrangement lasted until the establishment of Bethany Lutheran College in 1927. As the student body of DMLC continued to grow, construction began on a new classroom building, now called the Wittenberg Collegiate Center. The building was dedicated on October 14, 1928. Rev. Carl Schweppe was installed as a professor in 1920 and became DMLC president in 1936. Schweppe was an active member of the New Ulm community, and the college saw much growth and development under his long presidency. After recovering from low enrollments and financial hardships in the 1930s, Dr. Martin Luther College began to considerably expand its facilities and programs in the 1950s and 1960s. Fundraising efforts across the Wisconsin Synod supported the construction of many buildings not only on the campus of DMLC but also the campus of Northwestern College. At DMLC, all these buildings were constructed as the college experienced rapidly increasing enrollment. Centennial Hall was dedicated in 1951, the Music Center in 1962, a women's dormitory in 1964, and the Luther Student Center in 1968. During these years the college added new positions and developed new courses, including a secondary education program. Also, DMLC's preparatory department separated from the college during this time, becoming Dr. Martin Luther High School in 1962. The high school changed its name to Martin Luther Academy (MLA) in 1967. During the 1950s, the Wisconsin Synod anticipated a significant need for teachers in the coming years and considered several plans for the future. Ultimately, the synod established a junior college in Milwaukee named Milwaukee Lutheran Teachers College. The junior college began operations in 1960, sharing a campus with Wisconsin Lutheran High School. The school eventually changed its name to Wisconsin Lutheran College, not to be confused with Wisconsin Lutheran College, founded in 1973. Students at the junior college completed an associate degree at the junior college and were expected to complete their bachelor's degree at DMLC. In 1969, the Wisconsin Synod recognized that its need for teachers was not as great as expected, so the faculty and students of the junior college were merged into DMLC in 1970. DMLC observed continued growth in the 1970s. Another women's dormitory was dedicated in 1970 and a library building was dedicated in 1971. DMLC also reinstated its football team in 1971. The football program had been shut down a couple of decades earlier due to low enrollments. A rivalry with Northwestern College was begun when DMLC's football team began competitive play in 1972. DMLC's Lancer Bowl was dedicated in 1974. The enrollment at the New Ulm campus continued to grow, so in 1979 Martin Luther Academy moved to the former campus of Campion High School in Prairie du Chien, Wisconsin, and became Martin Luther Preparatory School. Dr. Martin Luther College's enrollment reached a peak of 850 during the 1979-1980 school year and then began to decline. Unused and deteriorating dormitories were torn down as enrollment fell. The staff ministry program began at DMLC in 1993. After several years of study and discussion, the Wisconsin Synod in convention voted 195 to 176 to merge its pastor and teacher training colleges on the campus of Dr. Martin Luther College as Martin Luther College. Martin Luther College opened its doors to students for the 1995-1996 school year. New offices and classrooms were constructed between Old Main and the Wittenberg Collegiate Center in the months leading up to the 1995-1996 school year. In 1995, a group of students moved the Sprinter statue of NWC's campus in Watertown, Wisconsin, to New Ulm after college administration decided to leave the statue in Watertown. In the same year, the Northwestern College Board of Control donated a statue of Martin Luther to the New Ulm campus. Rev. Theodore Olsen became president of the college in 1995. In 1999, the Wisconsin Synod approved a program change that required students in the education program to meet the standards for Minnesota state licensure. Martin Luther College began offering a graduate degree program in 2005. MLC's current president, Rev. Mark Zarling, assumed his office in 2007. In 2009 Martin Luther College dedicated its premier soccer field. The Chapel of the Christ was dedicated in 2010 to commemorate the 150th anniversary of the Wisconsin Synod. Currently, Martin Luther College is conducting a capital campaign in conjunction with its silver anniversary in 2020. The campaign goals include heightened recruitment efforts, increased financial aid for students, and expansion of campus facilities. As of 2016, Martin Luther College has 742 undergraduate students and 124 graduate students. MLC offers a Bachelor of Arts degree through its pre-seminary program and a Bachelor of Science degree through its education and staff ministry programs. Through its Graduate Studies program, the college grants Master of Science degrees in Education, Educational Administration, and Theological Studies. All programs of study at Martin Luther College train students for service in the Wisconsin Evangelical Lutheran Synod. As of 2017, Martin Luther College employs a total of 86 full-time and adjunct faculty members. Martin Luther College's pre-seminary program prepares male students for enrollment at Wisconsin Lutheran Seminary. Beyond its general education requirements and theology courses, the pre-seminary program stresses foreign languages. In order to graduate, students must complete courses in Hebrew and Greek, the original languages of the Bible, and select studies in a non-biblical foreign language to fulfill the requirements of the program. The foreign language courses offered at MLC include Spanish, Latin, German, and Mandarin Chinese. In addition, the curriculum involves a selective liberal arts emphasis, with special attention given to literature and history. After successful completion of the pre-seminary program, students earn a Bachelor of Arts degree and may continue their education at Wisconsin Lutheran Seminary in Mequon, Wisconsin. The college's education program prepares students for service as teachers in the schools and congregations of the Wisconsin Synod. MLC offers a Bachelor of Science degree to students with majors in early childhood education, elementary education, secondary education and special education. Students may also choose to complete a double major. The education curriculum at MLC includes music courses so that graduates may serve as organists and choir directors in Wisconsin Synod congregations. In addition to general education and professional education courses, students complete five field experiences and two student teaching experiences in classroom settings. After completing all graduation and Minnesota licensure requirements, students may be eligible for assignment by the Wisconsin Synod as teachers to synod congregations and schools. MLC's staff ministry program prepares students to become staff ministers for congregations in the Wisconsin Synod. Students in the program complete general education courses, professional courses, and practical experiences to equip them for service as staff ministers. The staff ministry program leads to a Bachelor of Science degree with a major in practical theology. Students may also choose a second major in education or parish music. After completing all requirements, students may be assigned by the Wisconsin Synod to various positions in synod congregations, such as Minister of Family and Youth, Minister of Discipleship, and Minister of Christian Education. Martin Luther College is situated in the city of New Ulm, Minnesota, on a wooded bluff overlooking the Minnesota River Valley. The college's 96 acres (39 ha) of property include its main campus, an athletic complex, and a forested property used as a natural outdoor laboratory. The 50-acre (20 ha) main campus is located at the highest point in New Ulm, between Hermann Heights Monument and Flandrau State Park. Most of MLC's academic and administrative operations are located within the college's Old Main, dedicated in 1884, the Wittenberg Collegiate Center, dedicated in 1928, and the Link, connecting Old Main to the Wittenberg Collegiate Center, dedicated in 1995. The Old Main was added to the National Register of Historic Places in 1979, after being nominated as a leading example of Gothic Revival architecture in Minnesota and a distinctive symbol of local religious education. The main campus also includes the Luther Student Center, Music Hall, Music Center, the 1200-seat Chapel of the Christ, a 900-seat auditorium (within the Wittenberg Collegiate Center), a gymnasium, a library, four residence halls, and several faculty homes. The college's library cooperates with the Traverse des Sioux Library System. Martin Luther College boasts 17 pipe organs, including the 57-rank Schantz organ in its chapel and a 42-rank Casavant organ in its auditorium. Along with its buildings, the main campus also includes tennis courts, a football field, a softball diamond, and various athletic practice fields. Additionally, the college owns a 38-acre (15 ha) athletic complex located a few blocks from the main campus. It is composed of soccer fields, a baseball diamond, and other practice facilities. Students have the ability to participate in a variety of co-curricular and extra curricular events, such as Forum (Drama), intramural sports, Student Senate, and other clubs and events. Students also produce several publications, including Hilltop Happenings (student newspaper). Any students who choose the teaching track are given the opportunity to participate in student teaching programs. Teachers in training are placed in area schools, ranging from preschool to high school, and help develop lesson plans for the school's students. Many students are involved with the music department. MLC boasts 20 pipe organs available to students for practice, including the 42-rank Backer Memorial Organ in the MLC Auditorium and the 57-rank Schantz Organ in the Chapel of the Christ. Also, piano and voice lessons are common, in addition to a wind symphony, four choirs, and co-curricular percussion ensemble, jazz band, and handbell choirs. Off campus life is popular, with students frequenting local business, restaurants, Vogel Arena (swimming, field house, racquetball), and Flandrau State Park for swimming and hiking. Trips into Mankato (a 30-minute drive) are also popular for shopping at River Hills Mall and other big name stores. Day trips to the Twin Cities are also popular for concerts and other events. Other events hosted by the Student Senate and the school provide popular entertainment, including Homecoming, Winter Carnival, Swine Sizzler (pig roast), band nights, an annual Ski Trip, an annual Art Museum trip, puzzle and card tournaments, Arbor Day, Evangelism Day, etc. Martin Luther College generally requires its students to live on-campus during their undergraduate years. This requirement is justified by the administration as an effort to provide students a measure of community at MLC and to develop fellowship and connections beneficial to service in the Wisconsin Synod. As a result, 98% of undergraduate students live on-campus in one of four residence halls. Centennial Hall is reserved for freshmen and sophomore women, Concord Hall for freshmen and sophomore men, Augustana Hall for junior and senior women, and Summit Hall for junior and senior men. The oldest residence is Summit Hall, built in 1911. The Luther Student Center contains the college's student union, cafeteria, fitness center, locker rooms, and gymnasium. All facilities are available to students from morning until midnight throughout the school year. MLC students are allowed free access to the nearby New Ulm Recreation Center. Morning and evening worship services are conducted daily during the school week in the Chapel of the Christ. Approximately 30% of Martin Luther College students participate in a varsity sport, and about 60% participate in intramural athletics. Martin Luther College fields 16 intercollegiate varsity teams; 8 for men, 8 for women. The college supports an additional 15 intramural leagues. The varsity teams compete in the National Collegiate Athletic Association (NCAA) Division III nine-member Upper Midwest Athletic Conference (UMAC). Men's sports include cross country, soccer, football, basketball, tennis, baseball, track and field, and golf; women's sports include cross country, soccer, volleyball, basketball, tennis, softball, track and field, and golf. Since 1995, Martin Luther College's teams have won 28 UMAC championships. The school's nickname is the Knights and its colors are black, red, and white. MLC is known for its strong student section at athletic events. At events during the early 2000s, students formed the Roo Crew, adopting an inflatable kangaroo as the college's unofficial mascot. The Male Cheerleaders perform humorous routines at home basketball games and interact with the student section and referees. Martin Luther College has a rivalry with Bethany Lutheran College in nearby Mankato, Minnesota. Teams have played in MLC's football bowl since 1972. The college owns a 38-acre complex of practice and game fields, including a state-of-the-art soccer field, dedicated in 2009, which was funded by both the college and the city of New Ulm. In the 2017-2018 school year, 9 out of 16 varsity sports led the UMAC in team grade point average. MLC supports more than 15 intramural leagues. Opportunities are also available to play hockey and baseball in annual matches with Wisconsin Lutheran Seminary. Alumni of Martin Luther College and its predecessor schools serve as pastors, missionaries, chaplains, principals, teachers, staff ministers, and church leaders for the Wisconsin Evangelical Lutheran Synod. Since 1865, alumni have comprised over 90% of the synod's called workers. Notable alumni include Northwestern College graduates Franz Pieper and John W. O. Brenner, and various theologians and leaders within the Wisconsin Synod. Graduates of the college's pre-seminary program may continue their education at Wisconsin Lutheran Seminary in Mequon, Wisconsin. Graduates of the college's education programs may become candidates for assignment to serve in elementary schools, high schools, or congregations of the Wisconsin Synod. The synod's leadership cooperates with the college's officers and administrators to assign candidates to their respective schools and congregations. The Wisconsin Synod is the third largest Lutheran church body in the United States and operates the fourth largest private school system in the nation. The Martin Luther College Alumni Association (MLCAA) is an alumni association available to all graduates of Martin Luther College, Dr. Martin Luther College, Northwestern College, and Martin Luther Academy/Dr. Martin Luther High School. The MLCAA plans events, coordinates funding efforts, and offers educational and travel opportunities. The group communicates with alumni through social media, the Alumni Messenger, and InFocus, MLC's flagship publication. ^ "2018-2019 Martin Luther College Undergraduate Catalog". Martin Luther College. 2018. Retrieved July 12, 2018. ^ a b c d e f Martin Luther College 2018-19 Undergraduate Catalog (PDF). New Ulm, Minnesota. 2018. pp. 3, 5, 42, 62, 65, 93. Retrieved May 16, 2018. ^ a b c "Mission Statement – About". Martin Luther College. Retrieved May 16, 2018. ^ a b c Martin Luther College 2018-2019 Quick Facts. New Ulm, Minnesota: Martin Luther College Admissions Office. 2018. p. 1. ^ a b c "Brown County - Maps & GIS". 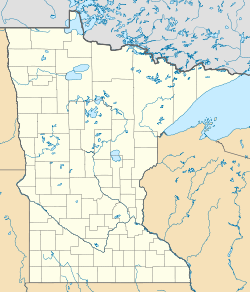 Brown County, Minnesota. Retrieved May 16, 2018. ^ "Martin Luther College Chapel, WELS". Plunkett Rayisch Architects, LLP. Retrieved May 16, 2018. ^ "Old Main, Dr. Martin Luther College". Minnesota National Register Properties Database. Minnesota Historical Society. 2009. Retrieved June 19, 2015. ^ "The Official Website of Martin Luther College Athletics". Martin Luther College Athletic Department. Retrieved May 16, 2018. ^ "Official Site of the Upper Midwest Athletic Conference". Upper Midwest Athletic Conference. Retrieved May 16, 2018. ^ a b c Martin Luther College 2018-19 Undergraduate Catalog (PDF). New Ulm, Minnesota. 2018. pp. 3, 5, 42, 62, 65. Retrieved May 16, 2018. ^ a b c Kowalke, Erwin Ernst (1965). Centennial Story: Northwestern College 1865-1965. Milwaukee, Wisconsin: Northwestern Publishing House. p. 35. ^ a b "Strategic Plan – Martin Luther College". Martin Luther College. Retrieved 2018-07-10. ^ a b "History". WELS. Retrieved 2018-07-09. ^ Kowalke, Erwin Ernst (1965). Centennial Story: Northwestern College 1865-1965. Milwaukee, Wisconsin: Northwestern Publishing House. p. 31. ^ Kowalke, Erwin Ernst (1965). Centennial Story. Milwaukee: Northwestern Publishing House. p. 33. ^ Kowalke, Erwin Ernst (1965). Centennial Story: Northwestern College 1865-1965. Milwaukee, Wisconsin: Northwestern Publishing House. p. 79. ^ Kowalke, Erwin Ernst (1965). Centennial Story: Northwestern College 1865-1965. Milwaukee, Wisconsin: Northwestern Publishing House. p. 45. ^ a b Kowalke, Erwin Ernst (1965). Centennial Story: Northwestern College 1865-1965. Milwaukee, Wisconsin: Northwestern Publishing House. p. 36. ^ Kowalke, Erwin Ernst (1965). Centennial Story: Northwestern College 1865-1965. Milwaukee, Wisconsin: Northwestern Publishing House. p. 39. ^ Kowalke, Erwin Ernst (1965). Centennial Story: Northwestern College 1865-1965. Milwaukee, Wisconsin: Northwestern Publishing House. p. 60. ^ Kowalke, Erwin Ernst (1965). Centennial Story: Northwestern College 1865-1965. Milwaukee, Wisconsin: Northwestern Publishing House. p. 59. ^ Kowalke, Erwin Ernst (1965). Centennial Story: Northwestern College 1865-1965. Milwaukee, Wisconsin: Northwestern Publishing House. p. 61. ^ Kowalke, Erwin Ernst (1965). Centennial Story: Northwestern College 1865-1965. Milwaukee, Wisconsin: Northwestern Publishing House. pp. 67–68. ^ a b Kowalke, Erwin Ernst (1965). Centennial Story: Northwestern College 1865-1965. Milwaukee, Wisconsin: Northwestern Publishing House. p. 173. ^ "Overview". www.lps.wels.net. Retrieved 2018-07-11. ^ a b Kowalke, Erwin Ernst (1965). Centennial Story: Northwestern College 1865-1965. Milwaukee, Wisconsin: Northwestern Publishing House. p. 73. ^ a b "Dr. Martin Luther College – History". mlc-wels.edu. Retrieved 2018-07-11. ^ a b Kowalke, Erwin Ernst (1965). Centennial Story: Northwestern College 1865-1965. Milwaukee, Wisconsin: Northwestern Publishing House. pp. 111, 172, 173. ^ a b Schroeder, Morton A. (1984). A Time to Remember. New Ulm, Minnesota: Dr. Martin Luther College. p. 34. ^ Kowalke, Erwin Ernst (1965). Centennial Story: Northwestern College 1865-1965. Milwaukee, Wisconsin: Northwestern Publishing House. pp. 102, 106. ^ Kowalke, Erwin Ernst (1965). Centennial Story: Northwestern College 1865-1965. Milwaukee, Wisconsin: Northwestern Publishing House. p. 200. ^ "Historical Signs – History". mlc-wels.edu. Retrieved 2018-07-11. ^ Kowalke, Erwin Ernst (1965). Centennial Story: Northwestern College 1865-1965. Milwaukee, Wisconsin: Northwestern Publishing House. p. 201. ^ Kowalke, Erwin Ernst (1965). Centennial Story: Northwestern College 1865-1965. Milwaukee, Wisconsin: Northwestern Publishing House. pp. 131–132, 220. ^ a b Kowalke, Erwin Ernst (1965). Centennial Story: Northwestern College 1865-1965. Milwaukee, Wisconsin: Northwestern Publishing House. pp. 203–208. ^ Kowalke, Erwin Ernst (1965). Centennial Story: Northwestern College 1865-1965. Milwaukee, Wisconsin: Northwestern Publishing House. p. 209. ^ Kowalke, Erwin Ernst (1965). Centennial Story: Northwestern College 1865-1965. Milwaukee, Wisconsin: Northwestern Publishing House. pp. 109–110. ^ Toppe, Carleton (1990). Holding the Course: Northwestern College 125. Milwaukee, Wisconsin: Northwestern Publishing House. pp. 112–113. ^ Toppe, Carleton (1990). Holding the Course: Northwestern College 125. Milwaukee, Wisconsin: Northwestern Publishing House. pp. 109–112, 115–120. ^ "History". www.lps.wels.net. Retrieved 2018-07-11. ^ Toppe, Carleton (1990). Holding the Course: Northwestern College 125. Milwaukee, Wisconsin: Northwestern Publishing House. pp. 90, 99–100. ^ Toppe, Carleton (1990). Holding the Course: Northwestern 125. Milwaukee, Wisconsin: Northwestern Publishing House. p. 32. ^ Wisconsin Evangelical Lutheran Synod (1989). Book of Reports and Memorials for the Fiftieth Biennial Convention. Milwaukee, Wisconsin: Northwestern Publishing House. p. 13. ^ a b Wisconsin Evangelical Lutheran Synod (1993). Proceedings of the 1993 synod convention: The Fifty-second Biennial Convention. Milwaukee, Wisconsin: Northwestern Publishing House. ^ Schroeder, Morton A. (1984). A Time to Remember. New Ulm, Minnesota: Dr. Martin Luther College. pp. 10–11. ^ Schroeder, Morton A. (1984). A Time to Remember. New Ulm, Minnesota: Dr. Martin Luther College. pp. 18–21. ^ Schroeder, Morton A. (1984). A Time to Remember. New Ulm, Minnesota: Dr. Martin Luther College. p. 14. ^ Schroeder, Morton A. (1984). A Time to Remember. New Ulm, Minnesota: Dr. Martin Luther College. pp. 21, 23. ^ Schroeder, Morton A. (1984). A Time to Remember. New Ulm, Minnesota: Dr. Martin Luther College. p. 28. ^ Schroeder, Morton A. (1984). A Time to Remember. New Ulm, Minnesota: Dr. Martin Luther College. pp. 35–36. ^ Schroeder, Morton A. (1984). A Time to Remember. New Ulm, Minnesota: Dr. Martin Luther College. p. 36. ^ Schroeder, Morton A. (1984). A Time to Remember. New Ulm, Minnesota: Dr. Martin Luther College. pp. 152–153. ^ Schroeder, Morton A. (1984). A Time to Remember. New Ulm, Minnesota: Dr. Martin Luther College. p. 176. ^ Schroeder, Morton A. (1984). A Time to Remember. New Ulm, Minnesota: Dr. Martin Luther College. pp. 39–40. ^ Schroeder, Morton A. (1984). A Time to Remember. New Ulm, Minnesota: Dr. Martin Luther College. pp. 45–46. ^ Wisconsin Evangelical Lutheran Synod (1993). Christian Worship: A Lutheran Hymnal. Milwaukee, Wisconsin: Northwestern Publishing House. p. 944. ^ Schroeder, Morton A. (1984). A Time to Remember. New Ulm, Minnesota: Dr. Martin Luther College. p. 47. ^ Schroeder, Morton A. (1984). A Time to Remember. New Ulm, Minnesota: Dr. Martin Luther College. pp. 49–50. ^ "The Reuter Steinway Piano – History". mlc-wels.edu. Retrieved 2018-07-12. ^ a b Schroeder, Morton A. (1984). A Time to Remember. New Ulm, Minnesota: Dr. Martin Luther College. pp. 47, 49–52. ^ Schroeder, Morton A. (1984). A Time to Remember. New Ulm, Minnesota: Dr. Martin Luther College. pp. 57–61. ^ "Pastor Adolf Ackermann – History". mlc-wels.edu. Retrieved 2018-07-12. ^ Gauger, Laurie (2009). 125 Years, 125 Stories: Martin Luther College. New Ulm, Minnesota: Martin Luther College Mission Advancement Office. p. 21. ^ Schroeder, Morton A. (1984). A Time to Remember. New Ulm, Minnesota: Dr. Martin Luther College. p. 74. ^ Schroeder, Morton A. (1984). A Time to Remember. New Ulm, Minnesota: Dr. Martin Luther College. p. 86. ^ Schroeder, Morton A. (1984). A Time to Remember. New Ulm, Minnesota: Dr. Martin Luther College. pp. 101, 105. ^ Schroeder, Morton A. (1984). A Time to Remember. New Ulm, Minnesota: Dr. Martin Luther College. p. 132. ^ Schroeder, Morton A. (1984). A Time to Remember. New Ulm, Minnesota: Dr. Martin Luther College. p. 105. ^ Schroeder, Morton A. (1984). A Time to Remember. New Ulm, Minnesota: Dr. Martin Luther College. pp. 111, 123–138. ^ Schroeder, Morton A. (1984). A Time to Remember. New Ulm, Minnesota: Dr. Martin Luther College. p. 115. ^ Schroeder, Morton A. (1984). A Time to Remember. New Ulm, Minnesota: Dr. Martin Luther College. pp. 111, 123, 126, 137. ^ Schroeder, Morton A. (1984). A Time to Remember. New Ulm, Minnesota: Dr. Martin Luther College. pp. 128–129. ^ Schroeder, Morton A. (1984). A Time to Remember. New Ulm, Minnesota: Dr. Martin Luther College. p. 156. ^ Henrich, Mark (1987). How MLA in New Ulm, Minnesota, became MLPS in Prairie du Chien, Wisconsin. Mequon, Wisconsin: Wisconsin Lutheran Seminary Essay File. p. 2. ^ Schroeder, Morton A. (1984). A Time to Remember. New Ulm, Minnesota: Dr. Martin Luther College. pp. 127–128. ^ a b "Remembering That Other Teacher College – History". mlc-wels.edu. Retrieved 2018-07-12. ^ Schroeder, Morton A. (1984). A Time to Remember. New Ulm, Minnesota: Dr. Martin Luther College. p. 144. ^ Schroeder, Morton A. (1984). A Time to Remember. New Ulm, Minnesota: Dr. Martin Luther College. pp. 142–143. ^ Schroeder, Morton A. (1984). A Time to Remember. New Ulm, Minnesota: Dr. Martin Luther College. pp. 149–150. ^ Schroeder, Morton A. (1984). A Time to Remember. New Ulm, Minnesota: Dr. Martin Luther College. p. 151. ^ a b Schroeder, Morton A. (1984). A Time to Remember. New Ulm, Minnesota: Dr. Martin Luther College. p. 149. ^ Schroeder, Morton A. (1984). A Time to Remember. New Ulm, Minnesota: Dr. Martin Luther College. pp. 157–158. ^ Schroeder, Morton A. (1984). A Time to Remember. New Ulm, Minnesota: Dr. Martin Luther College. pp. 159–161. ^ Gauger, Laurie (Summer 2018). "25 Years of Meeting Ministry Needs Through Staff Ministry". InFocus: Year in Review 2017-2018: 10. ^ "One Final Construction/Amalgamation Update". DMLC Messenger. 85 (7): 2. May 1995. ^ Gauger, Laurie (2009). 125 Years, 125 Stories. New Ulm, Minnesota: Martin Luther College Mission Advancement Office. p. 63. ^ "Luther Statue – History". mlc-wels.edu. Retrieved 2018-07-28. ^ a b "Martin Luther College President Bios – History". mlc-wels.edu. Retrieved 2018-07-27. ^ Gauger, Laurie (2009). 125 Years, 125 Stories. New Ulm, Minnesota: Martin Luther College Mission Advancement Office. p. 64. ^ Gauger, Laurie (2009). 125 Years, 125 Stories. New Ulm, Minnesota: Martin Luther College Mission Advancement Office. p. 68. ^ Gauger, Laurie (2009). 125 Years, 125 Stories: Martin Luther College. New Ulm, Minnesota: Martin Luther College Mission Advancement Office. p. 69. ^ "Chapel of the Christ – History". mlc-wels.edu. Retrieved 2018-07-12. ^ "MLC Campaign – Martin Luther College". Martin Luther College. Retrieved 2018-07-10. ^ Report to the Twelve Districts: May 2018. Waukesha, Wisconsin: Wisconsin Evangelical Lutheran Synod. 2018. pp. 57–58. ^ Book of Reports and Memorials. Wisconsin Evangelical Lutheran Synod. 2017. p. 177. ^ a b c d e f g h "MLC Quick Facts 2017-2018" (PDF). Martin Luther College Admissions Department. Retrieved May 18, 2017. ^ "Degrees Offered – Graduate Studies". Martin Luther College Graduate Studies Department. Retrieved May 21, 2018. ^ "Preseminary Program – Academics". Martin Luther College. Retrieved May 21, 2018. ^ "Wisconsin Lutheran Seminary". Wisconsin Lutheran Seminary. Retrieved May 21, 2018. ^ "Undergraduate Degrees – Academics". Martin Luther College. Retrieved May 21, 2018. ^ "Program Plans – Academics". Martin Luther College. Retrieved May 21, 2018. ^ "Early Childhood Education – Academics". Martin Luther College. Retrieved May 21, 2018. ^ "Elementary Education – Academics". Martin Luther College. Retrieved May 21, 2018. ^ "Middle and Secondary Education – Academics". Martin Luther College. Retrieved May 21, 2018. ^ "Staff Ministry Program – Academics". mlc-wels.edu. Martin Luther College. Retrieved May 20, 2018. ^ Schroeder, Morton A. (1984). A Time to Remember. New Ulm, Minnesota: Dr. Martin Luther College. pp. 21, 86. ^ "One Final Construction/Amalgamation Update". The DMLC Messenger. 65 (7): 2. May 1995. ^ Gimmestad, Dennis (January 1979). "Minnesota Historic Properties Inventory Form: Old Main, Dr. Martin Luther College". National Park Service. Retrieved 2018-03-11. ^ "Traverse des Sioux Regional Library (TdS) – Library". Martin Luther College Library. Retrieved May 18, 2018. ^ "Organs and Pianos at MLC – Music". Martin Luther College. Retrieved May 18, 2018. ^ "Housing – Student Life". mlc-wels.edu. Retrieved 2018-08-11. ^ a b c Gauger, Laurie (Summer 2018). "2017-2018 Morning, Noon, & Knight". InFocus: Year in Review 2017-2018: 18–19. ^ a b "Residential Life – Student Life". mlc-wels.edu. Retrieved 2018-08-11. ^ Schroeder, Morton A. (1984). A Time to Remember. New Ulm, Minnesota: Dr. Martin Luther College. pp. 137–139. ^ "Fitness Center – Martin Luther College". mlc-wels.edu. Retrieved 2018-08-11. ^ "Cafeteria – Martin Luther College". mlc-wels.edu. Retrieved 2018-08-11. ^ "Recreation Center". Retrieved 2018-08-11. ^ "Worship & Chapel Information – Student Life". mlc-wels.edu. Retrieved 2018-08-11. ^ "Official Site of the Upper Midwest Athletic Conference". www.umacathletics.com. Retrieved 2018-07-31. ^ "The Official Website of Martin Luther College Athletics". mlcknights.com. Retrieved 2018-07-31. ^ "Championships by Sport - Upper Midwest Athletic Conference". www.umacathletics.com. Retrieved 2018-07-30. ^ Gauger, Laurie (2009). 125 Years, 125 Stories: Martin Luther College. New Ulm, Minnesota: Martin Luther College Mission Advancement Office. p. 68. ^ Gauger, Laurie (2009). 125 Years, 125 Stories. New Ulm, Minnesota: Martin Luther College Mission Advancement Office. p. 71. ^ Gauger, Laurie (2009). 125 Years, 125 Stories: Martin Luther College. New Ulm, Minnesota: Martin Luther College Mission Advancement Office. pp. 66, 69. ^ Gauger, Laurie (2009). 125 Years, 125 Stories. New Ulm, Minnesota: Martin Luther College Mission Advancement Office. p. 72. ^ "Mission Statement – About". mlc-wels.edu. Retrieved 2018-08-07. ^ "Martin Luther College is #48 on MONEY's 2017-18 #BestColleges List". Retrieved 2018-08-07. ^ "Martin Luther College Scholarships – Named Scholarships & Endowments". mlc-wels.edu. Retrieved 2018-08-07. ^ Schwerin, Richard C. (1976). A Biography of Pastor John William Otto Brenner. Mequon, Wisconsin: Wisconsin Lutheran Seminary Essay File. p. 2. ^ "Programs of Study | Wisconsin Lutheran Seminary". www.wls.wels.net. Retrieved 2018-08-07. ^ "Undergraduate Degrees – Academics". mlc-wels.edu. Retrieved 2018-08-07. ^ "WELS' call process". WELS. Retrieved 2018-08-07. ^ "WELS Schools – Milwaukee's Best Christian Schools: Locate and Learn". christianschoolsmilwaukee.com. Retrieved 2018-08-07. ^ "Leadership". WELS. Retrieved 2018-08-07. ^ "MLC Alumni Association – Alumni". mlc-wels.edu. Retrieved 2018-08-07. ^ "Alumni – Martin Luther College". mlc-wels.edu. Retrieved 2018-08-07. This page was last edited on 1 March 2019, at 02:35 (UTC).